In 1912, Japan gifted Washington, D.C. with 3,000 cherry trees. 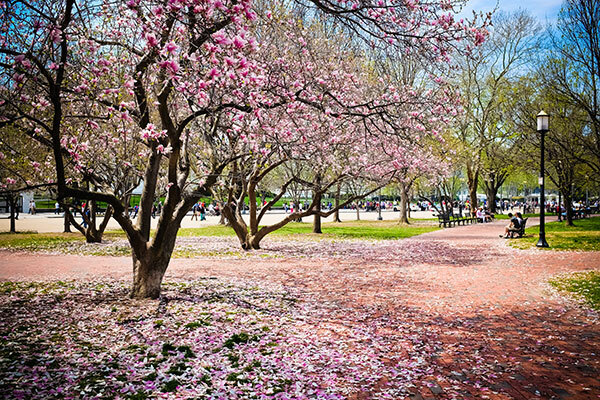 Since the planting of the trees, every spring brings colorful pink and white blossoms to Washington’s Tidal Basin and Mall. So many came to witness the splendor that a “festival” was first held in 1927. In 1994, the National Cherry Blossom Festival became a two-week event surrounding the peak blooming period of the cherry blossoms. Today, the event is a month-long celebration drawing in more than 1.5 million visitors annually. For families who plan on attending the festival in Washington, D.C., which takes place Mar. 20 through Apr. 16 in 2017, there are important details to know before you go. Here’s your family guide to the 2017 National Cherry Blossom Festival. 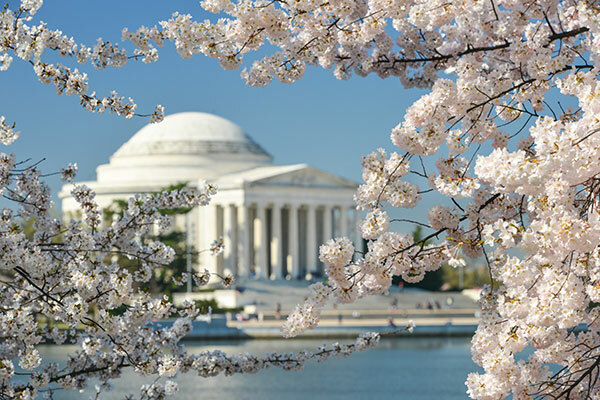 Although the official start date of the National Cherry Blossom Festival is March 20, the kickoff for the celebration takes place on Saturday, Mar. 25, with a lively stage show with traditional and contemporary performances. The event takes place at the Warner Theatre and, although free, requires a $5 registration fee and advance ticketing. Tickets are available beginning Jan. 27. Visit the Smithsonian American Art Museum at 8th and G Streets for a free, kid-friendly event to celebrate the blossoms. The event takes place from 11:30 a.m. to 3 p.m. with special performances and activities. The Tidal Basin, which features a beautiful pink-tree lined walkway, will host a welcome area for visitors and a performance stage with free shows provided daily. The festival tent is found in the Paddle Boat Parking Lot at 1501 Maine Avenue, SW.
Come fly a kite during the festival’s annual Kite Festival taking place on Saturday, Apr. 1. The family-friendly event showcases competitions and demonstrations, and kids can make kites at an activity station. Everyone is welcome to bring a kite to this free event, which takes place from 10 a.m. to 4:30 p.m. at the Washington Monument. A rain date is scheduled for Sunday. The highlight of the annual festival is its parade, which takes place from 10 a.m. to noon on Saturday, Apr. 8. Visitors are invited to set up along the parade route from Constitution Avenue between 9th and 15th Streets to see floats, balloons, marching bands and dancers, with Grandstand Seating available. Grandstand seats along the route are available for $20 to $30. Tickets are now on sale and go quickly, so hurry! Seating opens at 8:30 a.m. Learn more about the Japanese culture and celebrate their gift with this one-day event taking place on M Street and New Jersey Avenue on the waterfront. The Sakura Matsuri-Japanese Street Festival features four stages with more than 80 cultural groups. Food, drink and art vendors will be available, and the event runs from 10:30 a.m. to 6 p.m. The finale of the festival is the closing fireworks festival taking place along the waterfront. During the day, the District Wharf welcomes families with live music, activities, food and drink and more, from 2 to 9:30 p.m. Move along to the Titanic Memorial between 6 to 9 p.m. for pre-fireworks entertainment to be announced. Fireworks go off at 8:30 p.m. The National Park Service develops the annual calendar of events around the cherry blossoms peak bloom date, often occurring close to April 4. Depending on weather conditions, the blossoms could peak earlier or later and are considered peak when 70 percent of the trees have blossomed. Blooming periods can last 14 days. If you live close and want to visit during peak blooms, watch the National Park Service’s Blossom Cam to help plan. As tickets go quickly to free events and the parade, you may want to book ahead and take your chances on whether you will see peak blooms or not. The National Cherry Blossom Festival takes place around the Tidal Basin and Washington Mall of Washington, D.C. The area becomes very crowded with pedestrian traffic and nearby parking is very limited. A new DC Circulator from Union Station to the National Mall will offers rides for just $1, with departures every 10 minutes. From points across Washington, D.C.’s Metro offers lines to Smithsonian Station, L’Enfant Plaza Station and 7th Street and Maryland Avenues, with a 10-minute or less walk to the Tidal Basin. Parking is being offered at Reagan National Airport for just $10 per day, and you can catch the Metro into the festival. For visitors coming from Georgetown or National Harbor hotels, water shuttles and taxis are available. Also available are bike rentals through Capital Bikeshare. These rentals are available across the city for just $8 per day. However, children’s bike sizes are not available and the bulky bikes may be heavy and hard to handle for tweens. Pedestrian traffic at the Tidal Basin can also be so heavy, bikes can barely make it through the crowds. Dogs are allowed at the parks and National Mall, if leashed. A self-guided tour map is available at the various Information Stations near the Washington Monument and the Jefferson Monument. As part of the National Park System, kids interested in Junior Ranger Programs can find ranger stations and activities for earning badges at every monument and memorial near the Cherry Blossom Festival. There is also a special National Cherry Blossom Festival activity and badge. Restrooms can be found near Lincoln Memorial, the DC War Memorial south of the reflecting pool and the Smithsonian Castle. Additional portable bathrooms are put up around the area. As all of the Smithsonian museums are free, you can also easily access any location to utilize its restrooms should a child need one quickly. A few blocks from the National Museum of Natural History is the 188-room, 3-star Courtyard by Marriott Washington Convention Center. Budget-friendly, the hotel offers in indoor pool, free Wi-Fi and two onsite restaurants as amenities to guests. Blocks from the World War II Memorial and the White House is this quiet Foggy Bottom hotel. Offering 149 rooms with amenities like free Wi-Fi, laundry facilities, parking and an indoor pool, the Courtyard by Marriott Washington DC/Foggy Bottom makes a great option for your festival stay. The historic Hotel Harrington is just a few blocks from the National Museum of American History and the White House. It features 242 rooms, including 26 family suites, perfect for your getaway. 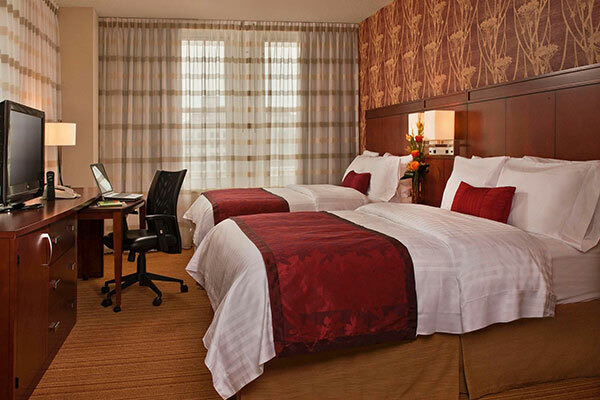 Another hotel that is easy on the wallet is the Hyatt Place Washington DC/National Mall. Guests receive free hot breakfast every day, free Wi-Fi and a chance to swim in an indoor pool. Across the street from the White House, the funky and youthful hotel offers 317 guestrooms, free Wi-Fi, parking and a rooftop bar. The W Washington DC is a great choice for families with teens, as you may need to book two rooms to accommodate a family comfortably. Just over the Arlington Memorial Bridge near the Lincoln Memorial is Arlington Cemetery, the national cemetery of the U.S. The Tomb of the Unknown Soldier, President John F. Kennedy’s gravesite, and the iconic Iwo Jima statue honoring the Marine Corps are highlights. Standing, or rather sitting, sentinel at the west end of the National Mall, facing the Washington Monument and the U.S. Capitol, is Honest Abe. The Lincoln Memorial is a must-visit, and free. Not one of the Smithsonian properties, which means you will need to pay an entrance fee, the International Spy Museum is a fun museum with more than 200 spy gadgets and “Operation Spy” programs for kids. Located right on the National Mall, this free Smithsonian museum welcomes all ages to enjoy the spirit of flight. From airplanes to space ships, you will see it all at the National Air and Space Museum! Also located right on the National Mall is the Smithsonian’s free art museum. Home to priceless works of art from the 13th to 18th centuries, you will find names like Picasso, Degas, Rembrandt and more at the National Gallery of Art. 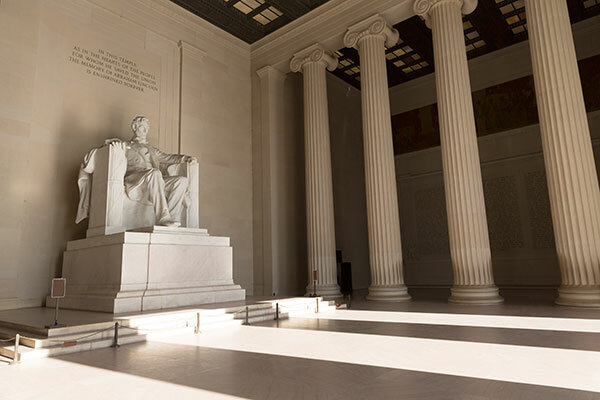 Explore the National Mall for its many memorials showcasing the history of America. Near Lincoln’s memorial are the Vietnam Veterans Memorial and the Korean War Veterans Memorial. At the opposite end of the reflecting pool is the World War II Memorial. As you near the Tidal Basin, find the Martin Luther King Jr. Memorial. In front of the Capitol and its reflecting pool is the Ulysses S. Grant Memorial. Another Smithsonian museum located on the National Mall is this rejuvenated museum dedicated to the preservation of American history. You will find unique artifacts from throughout the decades at the National Museum of American History. Home to dinosaur fossils, forensics labs, and an insect zoo, little ones will especially like this museum dedicated to natural history. The National Museum of Natural History is also free and located on the National Mall. Showcasing the history of journalism with exhibits that highlight the work and news-breaking items from our past. The Newseum is located on Pennsylvania Avenue near the Capitol and requires an entrance fee. The author of the Declaration of Independence is immortalized in this memorial featuring a 19-foot statue of the third president of the U.S. The Thomas Jefferson Memorial is located right on the Tidal Basin. A moving museum that is best suited for older kids, the United States Holocaust Museum spans three floors to highlight a dark time in world history. The museum is located to the east of the National Mall, a few blocks from the Jefferson Memorial. The iconic Washington Monument stands in the center of the National Mall, featuring an observation deck with the best view of Washington, D.C. Tickets are required to reach the top and during the festival may get sold out, so book in advance if you would like to make the trip. While you cannot tour the White House during your visit to the festival, you certainly should stop by 1600 Pennsylvania Avenue to take a peek at the most famous house in America. This upscale steak chain is located on Pennsylvania Avenue, across the street from the Newseum and near the National Gallery of Art. Open for lunch from 11:30 a.m. to 3 p.m. and dinner beginning at 5 p.m., with the exception of Sunday, which is dinner-only from 4 to 9 p.m.
Another popular steak chain, Charlie Palmer is just off Constitution Avenue near Louisiana Avenue and the U.S. Capitol building. The upscale steakhouse frequently visited by senators and representatives and features a rooftop terrace. It is open for lunch from 11:30 a.m. to 2:30 p.m. weekdays, dinners from 5:30 to 10 p.m. Monday through Friday, and 5 to 10 p.m. on Saturday. The restaurant is closed on Sundays. This salad and wrap joint in Foggy Bottom is steps from the White House on Pennsylvania Avenue. Create your own salads and wraps at the counter from 10:30 a.m. to 9 p.m. on weekdays and 11 a.m. to 6 p.m. on Saturdays. CHOPT is closed on Sundays. This chain sandwich and pizza shop is a counter-style restaurant open from breakfast through dinner. Flatbreads, salads and kids’ items are available. Weekday hours are 6:30 a.m. until 9 p.m., Saturdays are 8 a.m. to 8 p.m., and Sundays are 8 a.m. to 7 p.m. This national burger chain provides quick and budget-friendly meals near L’Enfant Plaza. Open every day but Sunday from 11 a.m. to 6 p.m. Find burgers, hot dogs and fries kids will like. Located on Pennsylvania Avenue near the White House, this grilled cheese spot is sure to whet the whistle of your picky kids. The contemporary spot is open from 11 a.m. to 9 p.m., closing for an hour between 3 and 4 p.m. on weekdays. Housed in the National Museum of American History, which offers free admission so you can dine without paying an entrance fee, the Jazz Cafe is newly remodeled and features a New Orleans-inspired menu. Located on the first floor, it is open from 10 a.m. to 5 p.m. This cafe is part of the Smithsonian and is located in the park between the National Museum of Natural History and the National Gallery of Art as a part of the latter museum’s sculpture gardens. The cafe is open from 10 a.m. to 4 p.m., Monday through Saturday, and 11 a.m. to 5 p.m. on Sunday. Located on Maryland Avenue near the wharfs is a sandwich shop with wallet-friendly items for grab-n-go or dining in. The chain serves breakfast Monday through Friday from 7 to 11 a.m., and lunch through 5 p.m. Closed on weekends. Also located in the National Museum of American History, is the Stars and Stripes Cafe, offering all-American burgers, pizza, barbeque, soups and a salad bar. The restaurant is located on the lower level of the free museum and is open from 11 a.m. to 3p.m. 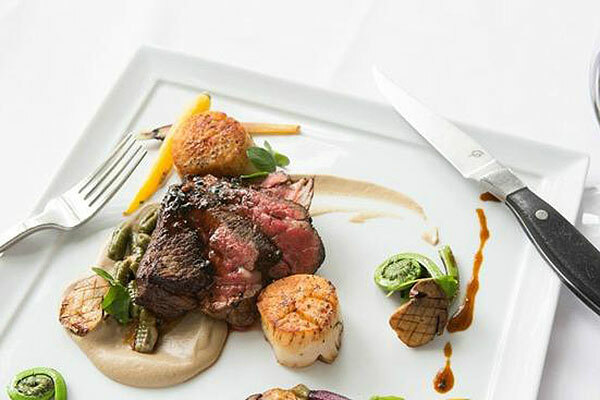 A number of restaurants offer special spring menus to celebrate the festival across the city, including 1789 Restaurant, Boqueria, Cafe Soleil, Carmines, Cities Restaurant, Daikaya, Farmers Fisher Bakers, Grill From Ipanema, The Grill Room at the Capella, The Hamilton, I Ricchi, Lincoln, Occidental Grill, Sequoia, STK, Teddy and the Bully Bar and Texas de Brazil.